If one of your pets urinate on your hardwood floor it is important to clean up the urine as soon as you can to eliminate odor and stain problems. The longer it stays on your floor the greater the chance for damage. Soak up the urine with a dry towel or rag. Next make a solution of equal parts distilled white vinegar and cold water and wipe the area completely. Repeat this a few times to insure you have thoroughly cleaned up the area. This procedure should get rid of the urine smell and the stickiness. 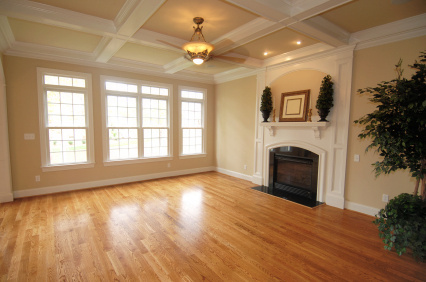 Once the pet stain is dry, it will have discolored the hardwood floor, creating a dark stain. First, clean the spot with some type of cleaner, whether a disinfectant wipe or pet enzyme cleaner. After the spot has been cleaned, there will still be a dark stain. Here is where the hydrogen peroxide comes into the picture. 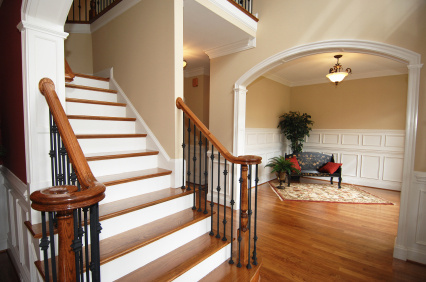 Hydrogen Peroxide has an oxidizing power that will slowly bleach the color out of the stain. Dampen a cloth with Hydrogen peroxide and place on the stain. Place a heavy book or other object on the cloth to hold the solution on the stain. Leave for only short periods of time, until the stain has blended in with the rest of the floor. 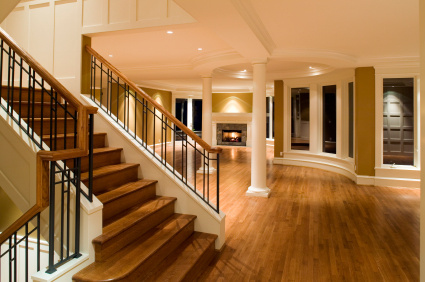 This may take a while, but with patience, you will be able to remove the pet stain from the hardwood. The darker the stain, the longer you will have to let the Hydrogen Peroxide sit. Do not get impatient - if you pour hydrogen peroxide directly onto the stain and leave it for too long, it will bleach the floor and leave a bleach spot instead of a dark stain spot. Deep pet stains or large stained areas may be beyond the ability of these simple solutions and may require professional assistance. 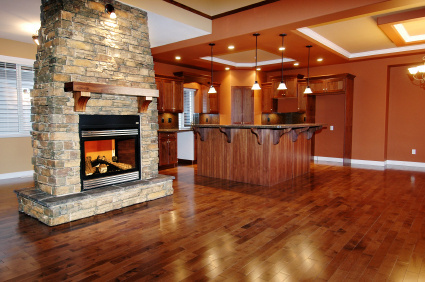 Below are a few things that can be done to restore your floor to new condition. After sanding stain entire floor darker to blend in stains. Replacement of entire floor ..
“The touch that makes things New"
"Our mission is to offer our customers Quality at Affordable Rates." Division Of A-Z Office Maintenance Inc. Sand & 3 Coats $1.50 Per Sq. Ft.